FIREFIGHTERS are battling to extinguish a wildfire that is threatening the Prat de Cabanes-Torreblanca Natural Park, Castellon. The blaze broke out yesterday but the presence of many lagoons and water-filled ditches at the coastal site is reportedly hampering efforts to put it out. An official said that the Torreblanca area is already under control, and that a helicopter and two aeroplanes are assisting efforts on the ground. 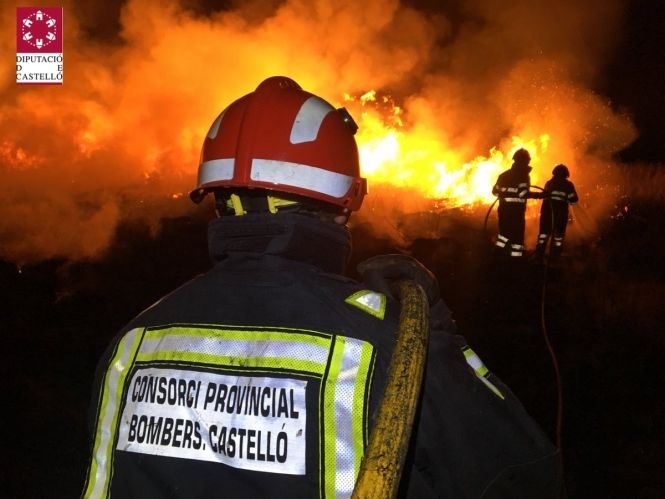 The unseasonal blaze comes as much of northern Spain is covered in snow and follows smaller fires in Sant Joan de Moro, Castellon and the El Hondo Natural Park, Alicante in recent days.